The Nappy Shoppe is located in Plano Texas. We are on the South West corner of Parker and Independence. We specialize in cloth diapers, baby carriers, nursing supplies, teething needs, training pants, swim diapers, toys and other natural parenting products. We offer classes in our classroom, covering a wide variety of topics from cloth diapering, using baby carriers, and more. Many of our staff are trained with the Center for Babywearing Studies. We also have Certified Lactation Counselors on staff, and Certified Car Seat Safety Techs. Most of our staff are Certified Bravado Bra Fitters. Nappy Shoppe turned 8 years old in August 2016. Nappy Shoppe is MORE than just a store, it is a community. We offer various parenting groups and breastfeeding support. In 2013 Nappy Shoppe received an award from the Dallas Area Breastfeeding Alliance for support given to the local community for breastfeeding. Also, in 2013 Nappy Shoppe received two Red Tricycle awards. One for the best Baby and Maternity store, and the other for Best Mom Run Business in DFW. In 2016 Nappy Shoppe was voted best of Plano by Plano Magazine readers, and received a certificate of acknowledgement from the State Senate of Texas. 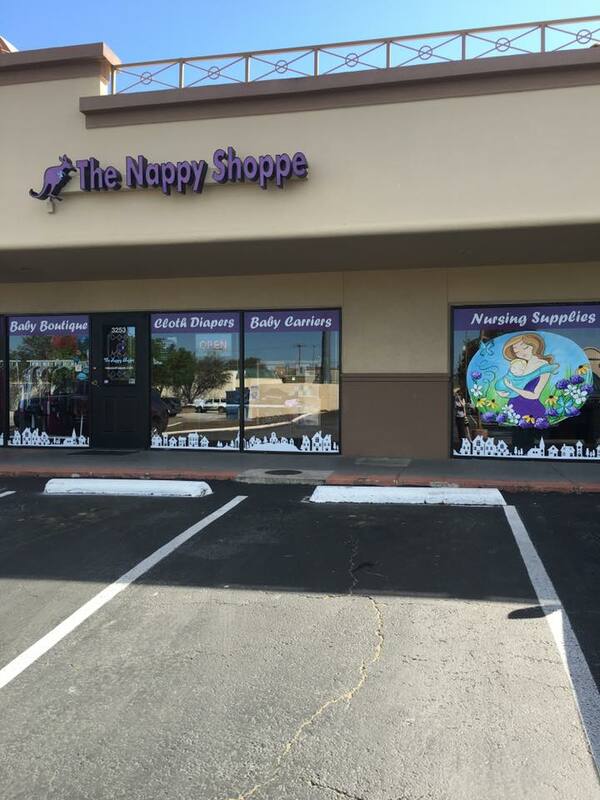 The Nappy Shoppe is owned and operated by Sharni Vaughan and Cheyenne Martin. Sharni is an Australian who married a Texan. She has 4 children, the first born in 1987 and the last in 2008. All bar the third were cloth diapered. The first was cloth diapered with traditional flats, pins and plastic pants. The final baby enjoyed all the modern conveniences of today's cloth diapers. Sharni is Center for Babywearing Studies trained and a Certified Lactation Counselor. Sharni is a huge advocate for breastfeeding, and believes in giving everyone a fighting chance to succeeding at breastfeeding. She contributes to this with the many free breastfeeding services that the store offers. Cheyenne is a native to the Dallas Fort Worth area. She is a Certified Car Seat Technician, Center for Babywearing Studies trained, and a Certified Lactation Counselor. Cheyenne is the mother of three girls. Cheyenne breastfed all of her babies, and cloth diapered the last two. Cheyenne had a passion for babywearing and started the North DFW babywearers. Cheyenne is also passionate about breastfeeding support for all mothers. 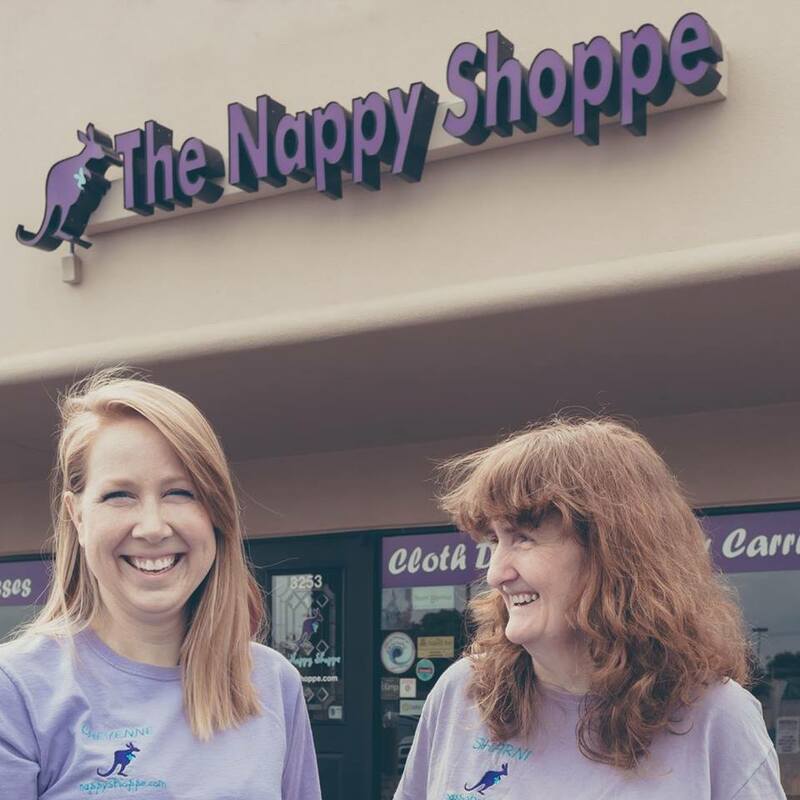 Nappy Shoppe started in Sharni's home in 2008, with just a sewing machine and some diaper fabrics, making diaper inserts. As time went on Sharni added other products to her sewn line up, from wet bags, to the Nappy Strap, to nursing covers. Sharni started adding other brands to her line up. In 2010 Sharni moved the business out of her home into an office warehouse in Allen. At the request of customers, she started opening to the public. In 2011, she started opening limited regular hours. Cheyenne joined the business in 2011. In February 2012, she opened her store in Plano with regular store hours. In late 2013, the sewing side of the operation was closed down to allow the store to be renovated and expand the store to have TWO classrooms. At the same time, the amount of retail space increased, to allow Nappy Shoppe to offer more product choices to their customers. In 2015 the store expanded yet again to take over the space next door, making it just under 5000 square feet. In 2015 Cheyenne became an owner of the business.